This tweet was picked up by many other video game developers who agreed with Barlog. JP Kellams, former creative producer at Platinum Games insisted Bayonetta’s one-button mode “didn’t ruin your experience”. Steve Spohn, COO of Able Gamers, praised video game developers’ support of accessibility, fuelling a popular hashtag that spread on Twitter over the weekend. 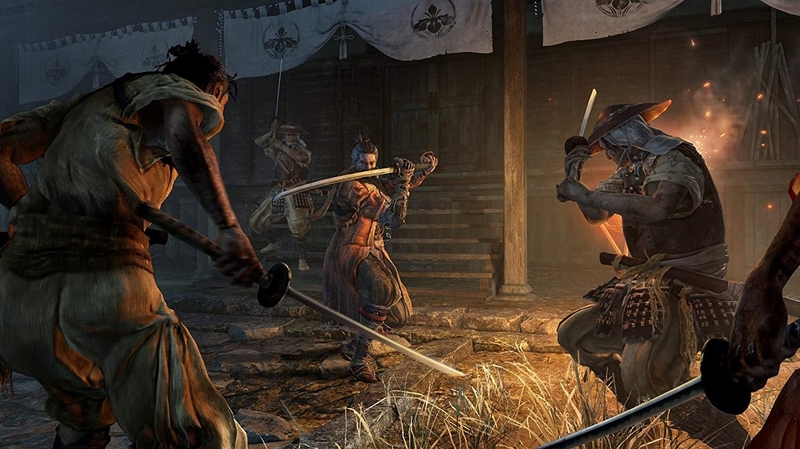 The debate around Sekiro involves some who say adding accessibility and difficulty options to video games can compromise the vision of their creators. Sekiro, which does not have an easy mode or assists, has become the battleground for this debate, although it’s been a point of contention with From Software’s titles for years. Matt Thorson, designer of Celeste, imagined a Celeste-style assist mode for Sekiro that would let you set combat speed, resurrections and invincibility, among other things. A number of video games have been praised in recent years for their accessibility options. In Insomniac’s Spider-Man PS4, for example, you can skip puzzles, enable big subtitles, QTE auto-complete and change button taps to holds. Naughty Dog’s Uncharted 4 also has an impressive suite of accessibility options, including holding down the Square button to have Nathan Drake keep on punching. Elsewhere, there’s an option to have the camera snap to a target and face the direction of a target, making Uncharted 4 playable without the right thumbstick. Naughty Dog designers were inspired in part by Disabled Accessibility for Gaming Entertainment Rating System (D.A.G.E.R.) editor-in-chief Josh Straub, who was frustrated by his inability to finish Uncharted 2 because near the end you have to tap buttons quickly in a QTE.